68 CAL Paintball Gun Kit READY PLAY BLOOD PACKAGE. 68 Caliber Play Now Package is an all-inclusive ready to play kit that will allow you to hit the paintball field with everything you need to play paintball. This exclusive TradeMyGun package includes what others do not offer! Most packages include a EMPTY CO2 Tank with ZERO Paintballs - OUR PACKAGE INCLUDES Two Pre-Filled CO2 tanks and 500 Blood Red Color Fill Paintballs! 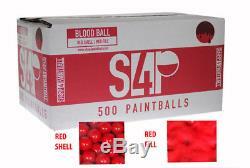 68 Caliber Shop4Paintball Blood Balls (Red Shell / Red Fill). 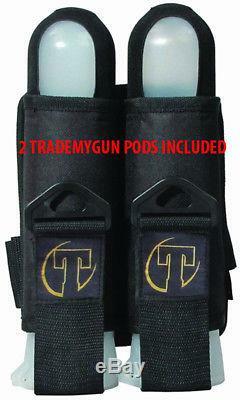 Two TradeMyGun 140 Round Paintball Pods (Trademygun Logo on the Pod). 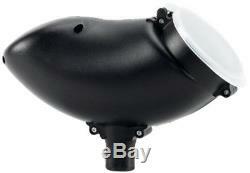 Tippmann VL 200 Round Hopper. Oil, Spare Oring, Tools, Barrel Sock, Squeege. TIPPMANN CRONUS TACTICAL Paintball Gun. The new Tippmann Cronus Tactical combines high performance with incredible durability in a milsim body. The Cronus features our reliable in-line bolt system in a high-impact composite body with soft over molded rubber grips. Mods including a carry handle and adjustable stock, help complete the military look. This marker can easily be further modified by mounting an assortment of accessories on any one of the four picatinny rails. New Tan and Black Color Combo! Fixed front and rear sights. 6 Position Collapsible Stock, Vertical Grip & Carry Handle with Integrated Sight. Shop4Paintball powered by TradeMyGun has delivered a nice durable paintball with a thicker shell targeted for entry level markers. Our paintballs are produced by GI Sportz in Canada - the best producer of paintballs in the world. We ran several pods of paint through both scenario and tournament grade markers with no ball breaks and a nice steady stream. These paintballs come highly recommended for scenario and/or general play. 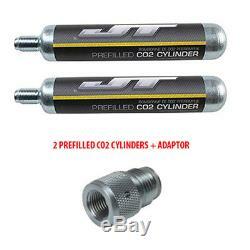 JT PRE-FILLED 90 GRAM CO2 TANKS with Paintball Gun Adaptor. The JT pre-filled co2 tanks allow you to play paintball the minute you receive your paintball gun package. The tanks come pre-filled but are not refillable. Included with the package is an adapter that is required needed to allow these tanks to screw into your paintball marker. This is the best complete, rigid vision system that is perfect for the newer players who want maximum protection with clear, reliable Anti-Fog, Anti-Scratch and Thermo-Cured lenses that will outlast every other brand! 68 caliber Paintballs with spring loaded flip lid. Two clear pods are included which make it easy to see inside the pod so you know when it's time to reload! Tippmann 2 Pod Harness with Belt. The Tippmann Sport Series 2-Pod Harnesses are a great choice for casual players. Airsoft Gun and Paintball Gun Information. Buyers of Airsoft and Paintball Guns must be 18 years old. 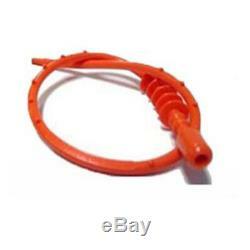 All Airsoft Guns have a permanently attached blaze orange tip according to Federal and/or State Laws. This prevents the Airsoft Gun from being mistaken for a real firearm. Airsoft Guns are TOYS and comply with all Federal Laws and Regulations. It is illegal to alter these item in any way. Check your State and Local Laws for restrictions. The item "TAN Tippmann CRONUS TACTICAL. 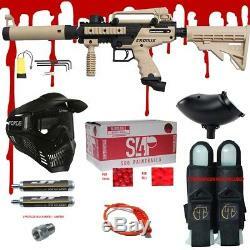 68 CAL Paintball Gun Kit READY PLAY BLOOD PACKAGE" is in sale since Tuesday, April 10, 2018. 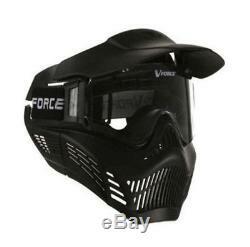 This item is in the category "Sporting Goods\Outdoor Sports\Paintball\Marker Packages". The seller is "trademygun" and is located in Laotto, Indiana. This item can be shipped to United States.